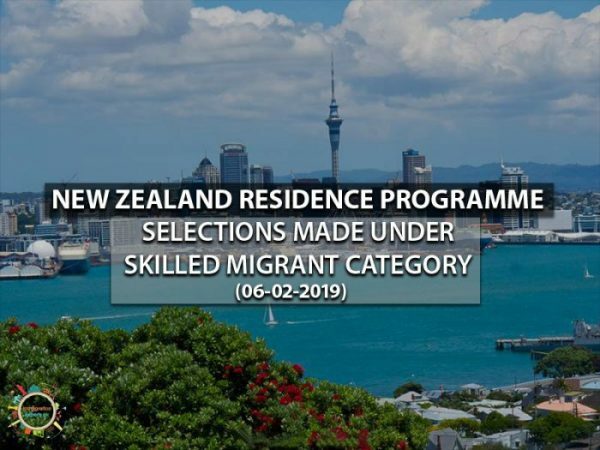 On 6 February 2019, New Zealand conducted another round of selection under the Skilled Migrant Category. As a result, 558 Expressions of Interest (EOIs) were selected. The selected candidates had a total of 160 or more points, representing 1,241 people. These candidates will now undergo preliminary verification which will determine their eligibility to receive an invitation to apply for permanent residency. 551 EOIs remain in the pool after the selection. Seeking an expert’s advice can effectively increase your chances of securing permanent residency. We at Immigration Experts are here to guide you in this regard. If you are interested in having your immigration for Canada, Australia or New Zealand, you may contact us by phone or email. Contact Numbers: 051-8439994-7, 042-35911332, 0308-5857777. You may also subscribe our Youtube Channel to get frequent updates.